An exciting finish to the 2018 TROPICAL 7s brought the second year of the tournament to new heights. 50 teams from around the world came to the sunshine of Florida to compete across nine divisions -- and this year's champions have been crowned. 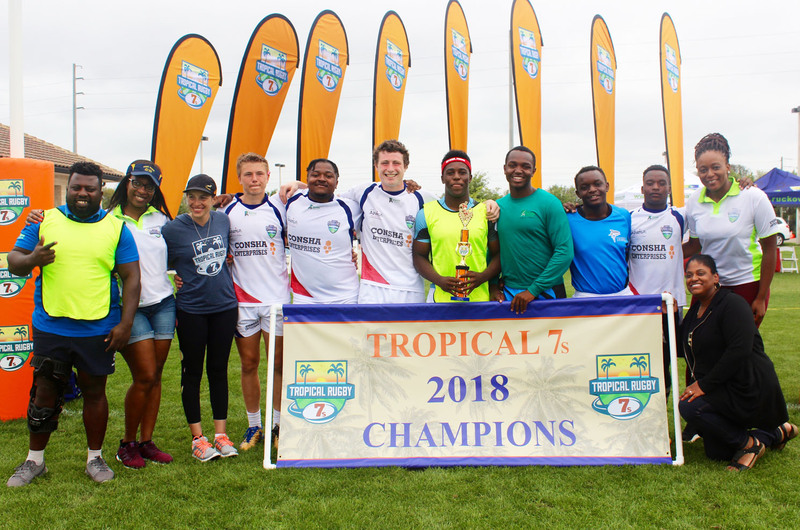 There were many highlights from the 2018 edition of the Tropical 7s. In only its 2nd year, the number of participating teams increased from 25 in last year's inaugural tournament, to 50 teams this year including 19 international teams. Celebrity referee Jillion Potter (pictured above celebrating with the University of Florida Gators who won the University Womens Open division), was a great presence at the event in her role as referee. Potter is a long-time USA Eagle and captain of the 7s team that played in the Rio 2016 Olympic Games. She handed out trophies to all of the winners and runner-ups. In what was arguably the most competitive division of the 2018 Tropical 7s, the Guelph University Gryphons from Canada beat Life University in the University Elite Womens Division (in an exciting 24-12 final score), in a group that also included Lindenwood University, all former national champions in their respective country. 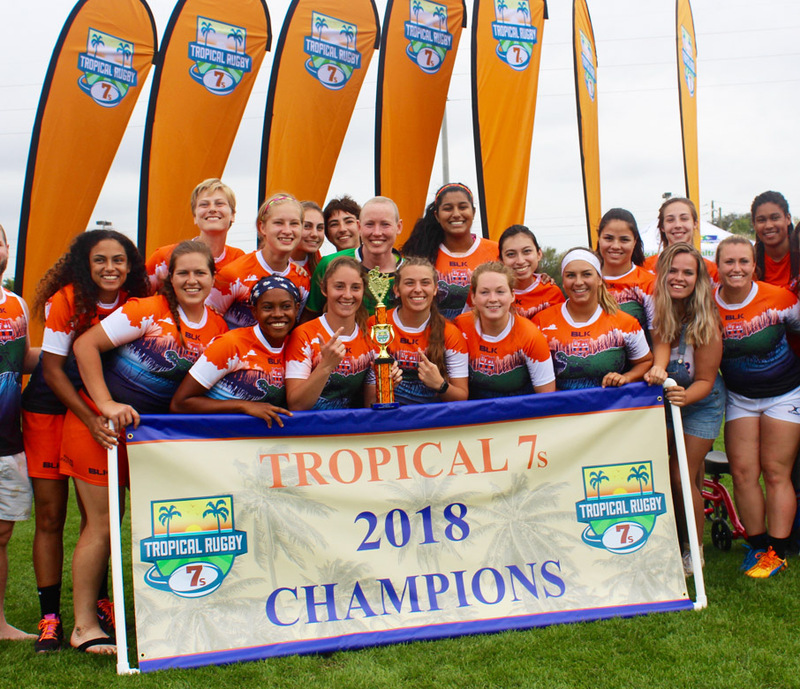 "We congratulate not just the champions but all of the participants at the 2018 Tropical 7s," said Tournament Director John Siner. "We are thrilled that so many teams had such a good rugby experience, which has brought this event to a new level. Next year will be event stronger so we are very excited about that." Dates for next year have already been set and the 2019 Tropical 7s will take place on 19-20 April 2019 -- again on Easter week at the beautiful Omni Championsgate resort.